Need Menu Planning Ideas? Check These Out! 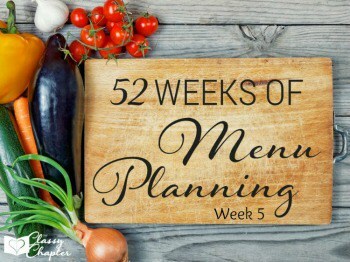 How have you been doing with your weekly meal planning? Things have slowly been getting better for me and I’m happy to say that we are eating out a lot less lately. Since starting my meal planning ideas, I’ve noticed that we eat a lot of chicken! If you have any non-chicken recipes you’d like me to try be sure to let me know. 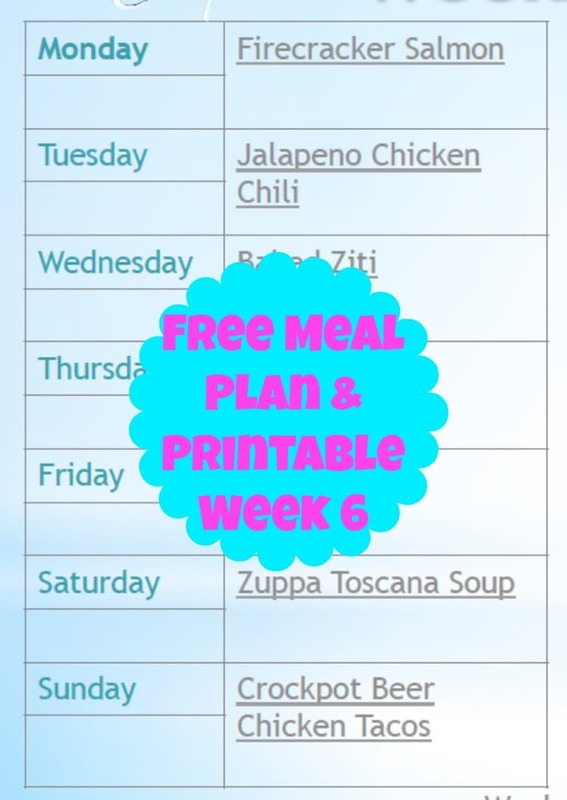 I hope you enjoy this week’s meal plan. I tried to include a wide variety so that everyone could find something they would enjoy. Monday – Firecracker Salmon I made this dish recently and it was so easy and so good! My husband can’t stand salmon and he even enjoyed it. It’s a must try! Tuesday – Jalapeno Popper Chicken Chili If you haven’t noticed already, I like spice. I’m excited to try this out. Wednesday – Baked Ziti with Homemade Sauce I make a similar recipe but the homemade sauce caught my eye. Thursday – Chicken and Dumplings My Grandma has a recipe that she isn’t willing to give to me yet, so I’m going to give this one a try. I sure hope it compares! I’m pretty sure it will, it looks amazing. Friday – Slow Cooker Italian Beef Sandwich Anything to make life easier is a win in my book. My husband is going to enjoy this dish. Saturday – Zuppa Toscana Soup I love soup on the weekend and I’m excited to give this one a try. Sunday – Crockpot Cheddar Beer Chicken Tacos Again, another easy crockpot recipe! I’m slowly adding more and more recipes to my crockpot cooking list so I’m happy I found this one. 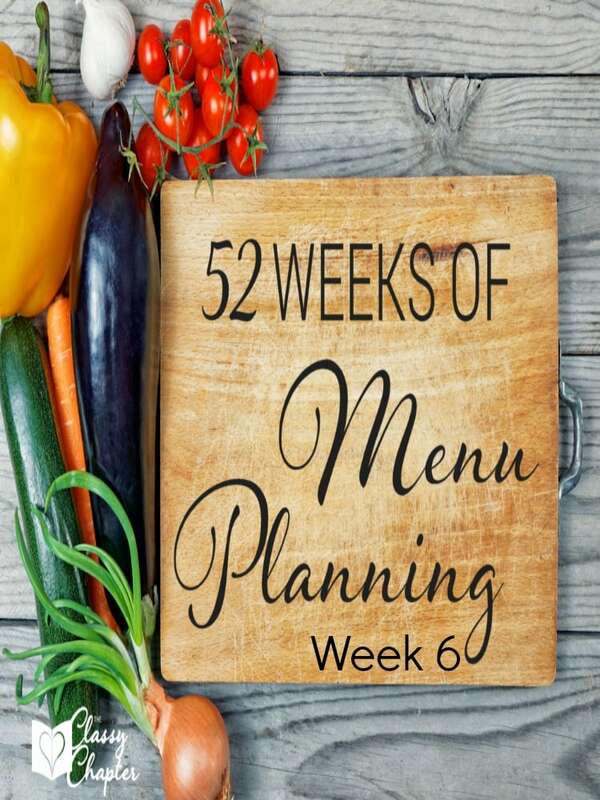 If you missed last weeks Meal Planning Menu, you can find it below. Lastly, don’t forget to download your free meal plan and grocery list!